For many people, October is now synonymous with the Stoptober challenge, when millions across the UK attempt to kick the habit for good. We’re asking: can sleep make quitting easier? Around 9 million adults in the UK smoke. This equates to 19% of men and 15% of women. Stoptober attempts to change that. Since it’s launch in 2012, the 28-day challenge has helped more than 1 million people stop smoking for good. For anyone who relies on smoking on a daily basis, quitting can be a huge test of willpower and courage. Many people turn to useful medications and support programmes for help, but it could be that something as simple as a good night’s sleep could improve your chances of kicking the habit. Let’s take a look at how sleep could benefit both your chances of quitting, and your health overall. In any situation, quitting smoking requires an enormous amount of willpower. It’s all too easy to fall back on bad habits, especially when they have been years in the making. However, getting enough sleep could help improve your chances of holding strong against temptation. One review – published in Frontiers in Human Neuroscience – found a strong interaction between sleep and willpower. Results shows that sleep deprived individuals were more likely to give into their impulses and make questionable or risky choices. They were also found to have less focus overall. Sleep deprivation can affect your self-control in two ways; reducing your capacity to exercise willpower while also reducing your energy levels overall, which are necessity for resisting die-hard habits like smoking. Evidence from brain imaging cements this hypothesis further, as scientists have noticed heightened activity in the prefrontal cortex area when individuals try to control impulses or behaviour. Further brain scans have also shown that activity in this area decreases overall when an individual is sleep deprived, suggesting that your capacity to exert self-control is reduced when you aren’t getting enough sleep. This makes a huge undertaking like quitting smoking even more of a challenge. Recent research has revealed that a lack of sleep can also seriously impact your immune system. In fact, after just one night of four to five hours of sleep, there is a 70% reduction in critical anti-cancer fighting immune cells (known as natural killer cells). For this reason, we know that short sleep duration predicts your risk of developing numerous forms of cancer, including bowel cancer, prostate cancer and breast cancer. The link between sleep and cancer is now so strong that the World Health Organisation (WHO) recently classified any form of night shift work (which naturally requires sleep deprivation from employees) as a probable carcinogen. In other words, jobs which disrupt your natural sleep-wake rhythms could increase your risk of cancer. And what else is a carcinogen? That’s right: smoking. 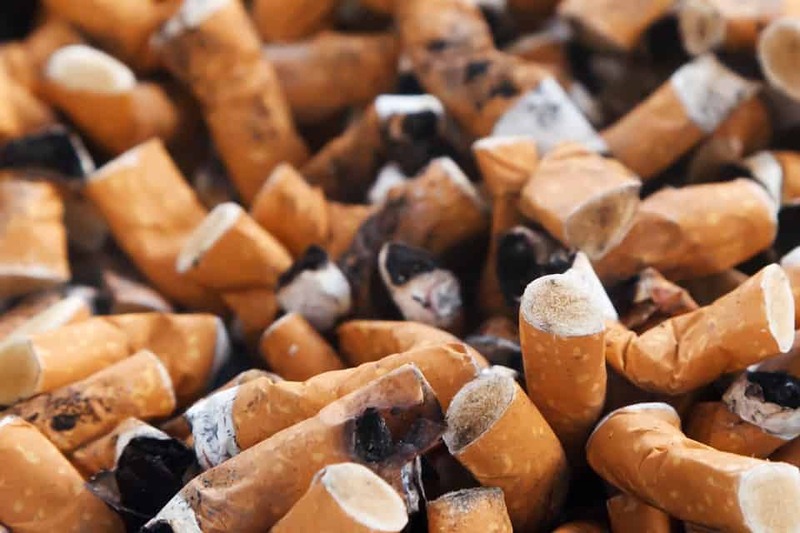 In fact, smoking is the largest cause of cancer in the UK and is a key cause of more than 15 kinds of cancer, including lung, kidney, liver, bowel, bladder and oesophagus. So this Stoptober, make improving your sleep habits a key part of your efforts to stop smoking and practice a healthier lifestyle overall. Simple sleep improvement methods can help you develop a beneficial sleep-wake cycle which will improve your willpower, resolve and your health. A great night’s sleep starts with a high quality mattress. At Mammoth, we pride ourselves on creating the very best mattresses by combining existing tried and tested traditional materials with advanced sleep and support technologies once reserved for the healthcare industry. Test drive a Mammoth today by finding your nearest retailer with our Store Finder. This entry was posted in All Articles, Expert Advice, Sleep Science and tagged benefits of good night's sleep, benefits of sleep, better sleep health, can sleep help you stop smoking, quitting smoking, sleep and smoking, sleep deprivation, smoking, smoking and sleep, stoptober, why stop smoking.